You are here: Home / Articles / Food & Health News / Less Meat, More Cheese? You may not always watch your diet, but the U.S. Department of Agriculture (USDA) does, and that is a good thing. By tracking food availability and consumption over the last 100 years, the USDA’s Economic Research Service (ERS) food data have pinpointed several trends that originated out of health concerns but have developed into a case of substitution sabotage. Apple Pie with Cheddar Cheese Anyone? While this may sound strange to some, the reality is that added sweeteners –including corn syrups and other sugars– and cheese consumption have increased dramatically over the past 30-40 but y ears. So while many Americans have cut down on red meat and switched to chicken, they just may be smothering that chicken Parmesan or burrito in cheese. 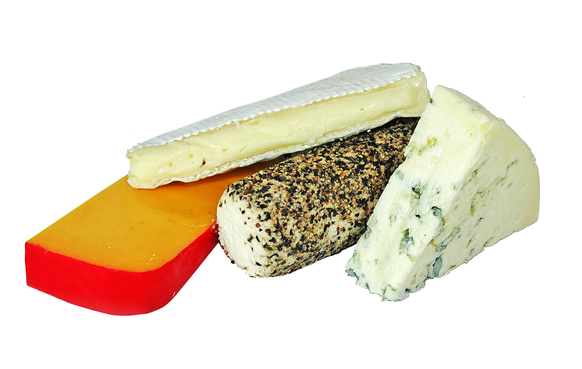 More and more Americans are also turning to vegetarian diets and often rely on more cheese for protein. Unfortunately, this switch contributes quite a lot of saturated fat and calories that can lead to high cholesterol and overweight — both of which are major factors for heart disease, which remains the number one killer of American adults. At the same time, milk drinkers definitely made a positive switch from whole to low-fat and skim varieties between 1960 and 1990. However, since the mid-1990’s carbonated soft drink consumption has increased with a corresponding decrease in overall milk consumption. It seems many apparently stopped “doing a body good” and switched to sweetened carbonated beverages. The unfortunate result has been a steady increase in the weight of American adults and children as well. Sugar and the reasons for reducing intakes were recently highlighted in a statement by the American Heart Association (AHA). Why pick on something “natural”? The answer is as simple as the sugars that need to be limited. 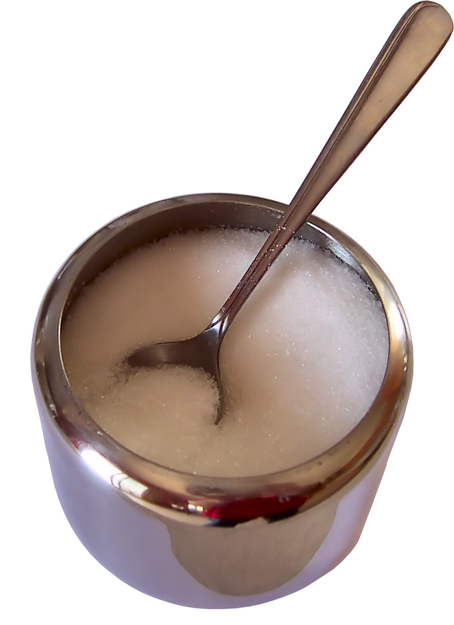 High intakes of sugar can lead to elevated triglycerides, blood sugar, weight gain and obesity, as well as inflammation, high blood pressure and reduced vitamin and mineral intakes. So America’s sweet tooth is putting a nation at higher risk of heart disease. You can read the entire AHA statement at: http://americanheart.mediaroom.com/index.php?s=43&item=976. Combine just these two trends — consuming more sugary beverages and cheese– with the national lifestyle of eating more and more meals away from home, and it’s no wonder the health of the nation is seriously in need of some intervention. Lose Weight and Prevent Heart Disease: What works? Get good fats! To quote a friend, “fat is love” when it comes to food. Of course small amounts go a long way. Be sure to include “good” mono- and poly-unsaturated fats such as those found in avocados, nuts, seeds, olive oil and fish. Snack on fresh fruit, lowfat yogurt and nuts. Reduce simple sugars. Sweet treats should remain “treats” and are not meant to be consumed daily or multiple times per day. But added sugars aren’t always as obvious as a cupcake. They are often hidden in foods, so read ingredients lists to identify them since many food labels can be confusing and deceiving. Drink more water, skim milk or unsweetened soy milk and unsweetened teas instead of sodas, and make sure the same goes for the kids. Focus on fiber: The more whole grains and other unaltered plant foods you eat, the more fiber you get. Make fruits a snack twice a day and vegetables a part of lunch and dinner. These are the “good carbs” that can actually help reduce abdominal fat. Portion control. America has been suffering from a severe case of “portion distortion” over the past 40 years. As restaurants have offered increasing portions at reduced prices, so too has the American population become oversized. If you’re not able to eyeball a “normal” serving, take out measuring cups and scales to truly understand amounts. Refer to www.mypyramid.gov for specific portion recommendations. Move more! Spring is finally around the corner, so get outside to walk, bike, jog … or skip! Just move more. Further AHA statements and heart health information can be found at www.americanheart.org. Most of what you say here seems to make sense to me. But I have one small question. Are low-fat dairy products really the way to go? Sometimes I think we’re obsessed with the idea that less fat is better, and I’ve read some things that suggest that low-fat, and especially non-fat dairy products are actually not particularly healthy. For example, vitamin A is fat soluble and water soluble, so if you drink non-fat milk, you’re unlikely to absorb much of the vitamin A in it. Also, you mention lowfat yogurts…these can be a bad idea because most of the commercially-available lowfat and nonfat yogurts are loaded with sugar. I personally eat only plain (unsweetened) whole-milk yogurt. I especially like a type available in Indian stores, a little firmer and with more active cultures, Desi Natural Yogurt. I imagine this stuff, which has a little over 3% milkfat, is probably a lot healthier than the lowfat and nonfat variteies that are packed with sugar, available at most supermarkets.